TPS1750 Serie is an ideal solution for those applications in which a low-cost thermal printer is a must. Designed extremely small and compact to fit into limited spaces and easy integration structures. Reliability at the best price is the key of its success. 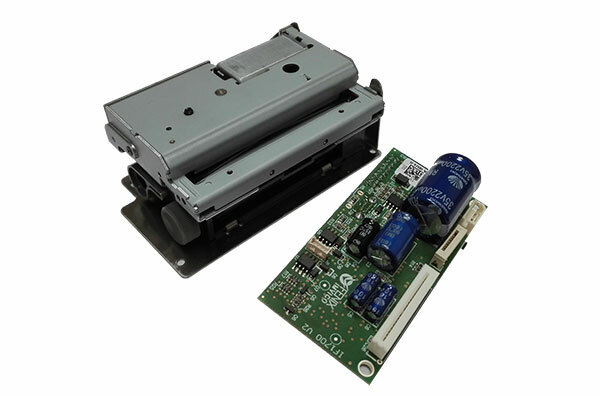 TPS1750 is composed by a printer block (printer mechanism with autocutter), plus a separate interface card. Parking and Bus ticketing, electronic weighing scales, unattended payment terminals, POI and vending machines, industrial and electro-medicine equipment. (1) At 25ºc and rated energy.